Our style focuses primarily on traditional Celtic Knot work, often incorporating ideas from the wonderful Book of Kells and the Lindisfarne Gospels. We produce both traditional designs and designs with a more modern twist. Many of our designs are influenced by Archibald Knox whose style is immediately recognisable and becoming famous worldwide. Our Manx designs range from the traditional Three Legs of Man, with the motto Quocunque Jeceris Stabit translating to whichever way you throw, it will stand, to our wonderfully detailed area crosses created from designs found around the Isle of Man. The Manx language is now being re-introduced into our daily lives. Many Manx words are visible every day. 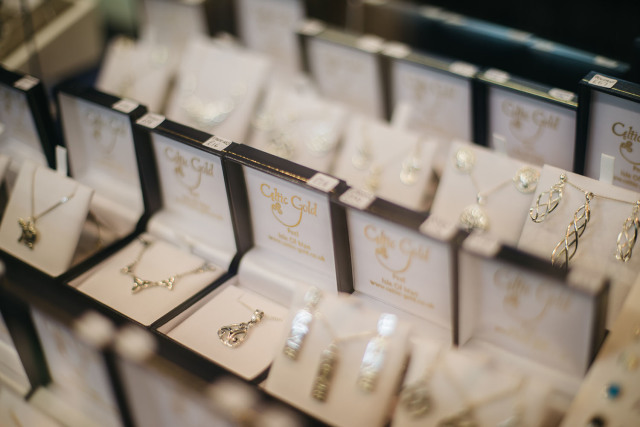 Our Manx language rings and pendants show how important our heritage is. Celtic Knot work: There are many theories behind the origins of Celtic knot work and their meanings. To us, Celtic Knot work simply means eternal love and eternal friendship. A Celtic knot has no end and no beginning and so flows forever. Archibald Knox: (1864-1933) A Manx artist who used Celtic Knot work as the basis of many of his pieces. Ogham script and Runic script: Ancient scripts found carved on stone in the Isle of Man and within old manuscripts.